I make no secret of my love for cities, and less secret still of my particular love for the capital of Spain. Indeed, much of my idle scheming turns out to be an exercise in getting back to Madrid, as was the case last year when I strung together a bizarre itinerary (even by my own standards) that sent me on a grueling DC to New York to Madrid to Stockholm itinerary all so that I could have a stopover in Madrid a week later on my way home from Prague. Wherever I go, I always seem to return to the first European city with which I fell in love on a visit years ago with my grandparents. To this day I send my grandmother pictures whenever I walk past places we first visited together, a visual monument to time lapsed in my mind, as best illustrated by the peculiar multi-decade string of photos depicting my grandfather and I sitting in the same spot along Calle Cava de San Miguel. Though I've written here about the city before, I've recently found myself responding by email to several friends seeking advice for their time there. Thus, this Wine:Thirty Flight Guide to Madrid is born. You'll find Madrid in (relatively) the geographical center of Spain. A marker in the city center, no less, notes the kilometer zero from which the distances on the country's major national highways are measured. Center yourself around the historic city center (Centro), roughly bounded by the broad avenue called Gran Vía to the north, Palacio Real (the royal palace) to the west, Parque de Retiro to the east, and a southern boundary that for the sake of argument we'll mark off at the street called Ronda de Toledo. The Manzanares River hugs the western and southern contours we've just laid out, with the main business district to the north, and the Madrid-Barajas airport (MAD) to the northeast. Try this Foursquare map of our favorite places (including many listed here)... we'll update as we find new things. Odds are that your arrival by plane will be aboard a OneWorld airline, either Spanish flag-carrier Iberia or one of its principal partners in Europe -- British Airways, Finnair, or American Airlines -- into the stunningly gorgeous Terminal 4. All other airlines arrive a full two miles away in the decidedly more average terminals 1-3, all part of the same airport so large that its two metro stops are actually broken up by a non-airport metro station between them. All terminals are linked to the city via Madrid Metro's pink line (linea) 8, and Terminal 4 is also linked to the city via the commuter rail called Cercanías, my personal preference. The latter arrive downtown to the Atocha railway station, the same point as travelers arriving via Spain's excellent long-distance railway. Madrid's Metro (subway) is the world's seventh longest, a marvel of public infrastructure given that the city is around the world's 100th largest by population, though at over 3 million it is the third largest in the European Union and larger than all in the United States save for New York and Los Angeles. Get yourself a red metro card from a machine inside the station. You'll be charged per ride, not per distance, except for when using Metro to and from the airport on which trips you'll need to use the machine to add a separate "airport supplement" to your card. Note the supplement is only valid for the day of travel, so don't buy it in advance. Oh, much of the pleasure is in walking this extraordinarily walkable city. I routinely get in 20,000 steps per day here. It's the best way to take the place in. We stay so often in a single Airbnb apartment in the Barrio de las Letras neighborhood, along the street Calle de las Huertas, that it feels like a second home. I recommend you avail yourself of Airbnb and find a home away from home there or around Lavapies a ten minute walk south. If it's hotels you seek, the Westin Palace Hotel is historic Madrid's (far superior) answer to New York's Plaza Hotel, though for our (much less) money we'd check out the recently renovated Hotel Regina on Gran Vía. All will have you hitting the pillow near the city center. Great wine selection, trendy yet intimate, great for dinner or sitting at the bar... Triciclo. This delightful modern bistro type place on Calle Santa María in the Letras neighborhood has become our go-to place for great wine, great food, and great company. Luis -- the wine director -- is an immense wine geek whose creativity is surpassed only by the warmth with which he shares the latest bottle he's gotten his hands on. I've made multiple friends from multiple countries out of the clear blue while sitting at the bar. Make a reservation if you want an actual table. We can't recommend the place enough. Classic Madrid tavern that you simply must try before you die... Mesón del Champiñón. Champiñón (mushroom) ranks among my top ten most special places in the world thanks to the wonderful times I've spent here with several of the people who have shaped my life (the infamous picture of my grandfather was taken feet away). This classic tavern on Calle Cava de San Miguel, just below Plaza Mayor, specializes in unforgettable sangría and a mushroom speciality all their own. Try the pimientos de padrón (peppers) if mushrooms aren't your thing. Avoid the calamari. Say hello to Jon out on the floor or -- if your Spanish skills are fairly robust -- to Jose behind the counter and Juan at the organ. Tell them Andrew and Meghan (from Washington, DC) suggested you visit. That classy dinner that everyone wants when visiting the big city... El Barril de las Letras. Long on our list of places to try out, we loved El Barril when we first visited in February 2018. You’ll find it quite close to the Palace Hotel, roughly between the Cortes neighborhood and Calle de las Huertas. Higher end, but not unaffordable. Meghan and I were in and out with a bottle of wine for about €100, and it felt like a steal. Incredible wine to stimulate the nose, palate, and mind... Wilda. Wine lovers (are you reading this blog if you're not? ), you must try this new-as-of-2017 wine bar called “Wilda”. Find it on Calle de Leon very close to Plaza de Santa Ana, just off Calle de las Huertas. Wilda has a fun, modern feel, but it really shines in the depth of knowledge and love for wine among the people working there. Look for Ana, Sonia, or Juvenal... and ask them to guide you through their favorites. You'll be wildly impressed. Extensive wine list in a more upscale setting... Angelita. Contrast Wilda's quirky wine selection in a casual setting with Angelita's more prototypical wine + modern elegance. We were pointed here by our friend Amy at Devour Madrid, so cannot take credit for the discovery. 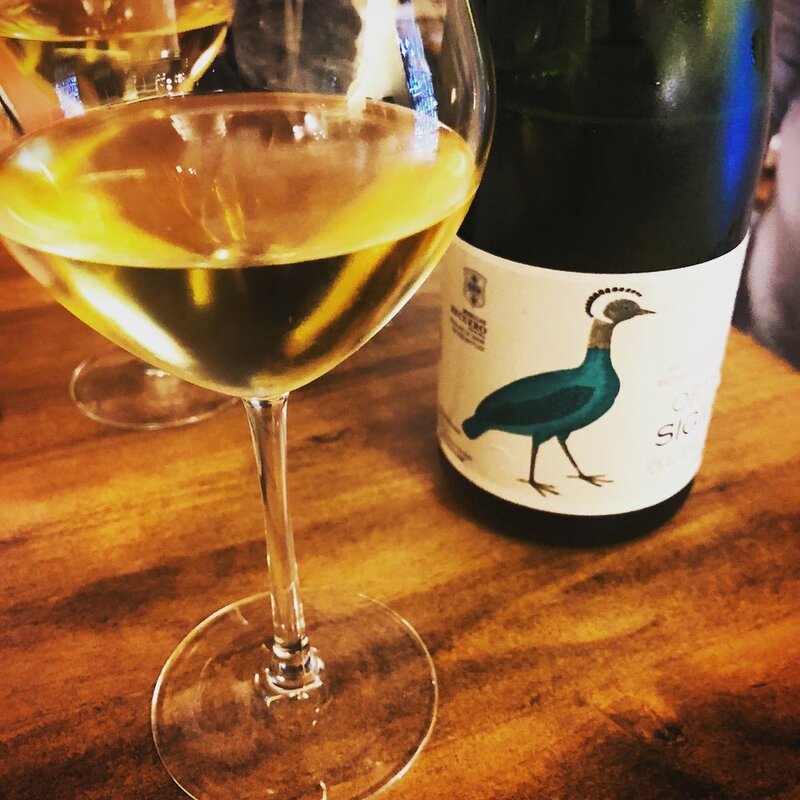 Angelita's wine list is vast, making it a great place to go if you're interested in trying many Spanish wines from across the country's many wine regions. It's more modern and upscale, yet wholly lacking in pretension. Go in with a plan to try something that you haven't experienced yet, and resist the urge to order a glass of the first Rioja you see. Reservations are desirable if you want a shot at a table. Always fun neighborhood joint that we just can't get enough of... Alimentacion Quiroga. We were first attracted to this part high end market, part restaurant on Calle de las Huertas because it always seemed to be overflowing with happy people and fun evening energy. It's usually quite busy, and limited seating is first come first serve. Stop in when you seek an approachable yet quality by-the-glass wine list, and simple yet delicious food. Market featuring delicious food options, filled to the brim with people... Mercado de San Miguel. You'll find Mercado de San Miguel just up the street from Mesón del Champiñón on Calle Cava de San Miguel. The venue is fully enclosed and indoors, but features vendors ranging in size from a little cart selling croquetas (traditional croquettes filled with ham, chicken, cheese, etc) to a full blown bar pouring a host of wines by the glass. Most visitors mix and match -- a croqueta here, a piece of fish there, a glass of sangría from that place over yonder -- before ambling off to fight the crowd for a table in the center of the space. It is a mistake to go here on a beautiful Sunday afternoon when everyone is out and about. The place will be packed. Equally delicious yet (happily) less well known market... Mercado de San Antón. Head up to the Chueca neighborhood for lunch at a bustling market that's just a bit less chaotic than San Miguel. It's a lovely ten minute walk from Gran Vía, and otherwise just near the Chueca station on the Metro's linea 5. We're particular fans of the Canarian food stand (that would be food from Spain's Canary Islands), but any number of options inside will make you happy. Traditional Spanish food in a quieter date night setting... Taberna la Carmencita. Try Taberna la Carmencita if you seek something more quintessentially traditional Spanish, located a bit north of Gran Vía up in Angelita's and San Antón's neck of the woods. Here you'll find lovely soft lighting that illuminates charming tiled walls, wood floors, and a classic menu where lamb is the order of the day but much else is available. The wine list is compelling, and we ordered the Syrah from Bodegas Arrayán in the Méntrida wine region just south of Madrid (a great day trip, by the way) before transitioning to a helado de queso (that's cheese ice cream... delicious... ice cream) for dessert. I've also recently become re-acquainted with the Lavapies neighborhood (it has its own subway stop on linea 3), and is about ten minutes walk from Triciclo, Barril, Wilda, and Alimentacion Quiroga above. Lots going on here, definitely up and coming. There is a wine bar called La Falda I’ve been to twice; it serves as a good place to center your exploration of the food and wine situation there. This is a party neighborhood where new dining concepts mingle with traditional taverns. Give it a try. Finally, if you don't mind the notion of a guided tour, I really recommend checking out Devour Madrid. They're food (and wine) centric tours are a great way to get introduced to the city by guides who know it -- and its culinary scene -- very well. As I said above, simply walking around is the best way to experience Madrid. It, and the historic core in particular, is a phenomenally good walking city. Ambling around and seeing what I discover is one of my favorite activities. That said, you're not wrong to want some specific destinations. Try these. Parque de Retiro. Retiro Park was originally part of the grounds of the sprawling Buen Retiro palace. Though the palace is long destroyed, the public park remains an immense green space suited for long walks and snacks on cafe terraces. Consider renting a rowboat and spending 45 minutes plying the waters of the lake in the park's center. Congreso de los Diputados. Spain's capitol building won't appear on every itinerary, but we think it's one of the neatest places to visit. You might note how unassumingly it sits on the street, clearly a capitol but without a lot of fanfare. The interior is beautiful, and the hemicycle ("debating chamber") is architecturally stunning. Tours are offered, but bring your passport because they are rather strict about identification there. Museo del Arte Reina Sofia. For my time, more compelling than the nearby Prado (I can hear art lovers howling at me as I write this). It's true, I don't love art museums, but I have spent hours staring at Picasso's Guernica that memorializes the bombing of the village of Guernica during the Spanish Civil War. It's one of those paintings that teaches me something new every time I stare. Palacio Real. The royal palace is the official seat of the king, though in practice the family has not lived here for a century. It's the largest palace in Europe, and incredibly open to public consumption. Waves of visitors have taken their toll, but much of it is exquisite. Citizens of Spain, other EU countries, and Ibero-American nations are offered free admission at specific times. Otherwise it will run you about 10 euros apiece. Templo de Debod. Walk up to this ancient Egyptian temple while you're in the palace's neck of the woods. Incredibly, Egypt gave this temple dating back to circa 200 BC to Spain in the 1960s, whereupon it was re-assembled to the finest detail in a park atop a hill in Madrid. Today it offers stunning photo opportunities relative to the sun setting behind it. That it exists at all here is, as I say, incredible. Santiago Bernabéu. Home of the famous Real Madrid fútbol (that's soccer) club. More than just a stadium, this place is a museum and shrine to one of the most successful teams in professional sports history. I haven't visited since 2007, but at that time the tour could take an entire afternoon climbing to the height of the stadium, visiting field level, and winding through trophies and photographic memories of past glory. Sports fans rejoice! El Rastro. This immense open air market is held every Sunday in the Embajadores neighborhood. Don't go if you have an aversion to crowds. Do go if you love to sift through the bizarre to find what you never knew you always wanted. If you've planned enough time in the city, I recommend considering excursions by train to outlying smaller cities with much to offer. A beautiful cathedral and medievally narrow streets make Toledo my favorite, though the monastic palace of El Escorial, city walls of Ávila, and the famous Roman aqueduct in Segovia (among many other things) make for compelling sites as well. I'm happy to have finally pulled together all the pieces in putting this guide post together. 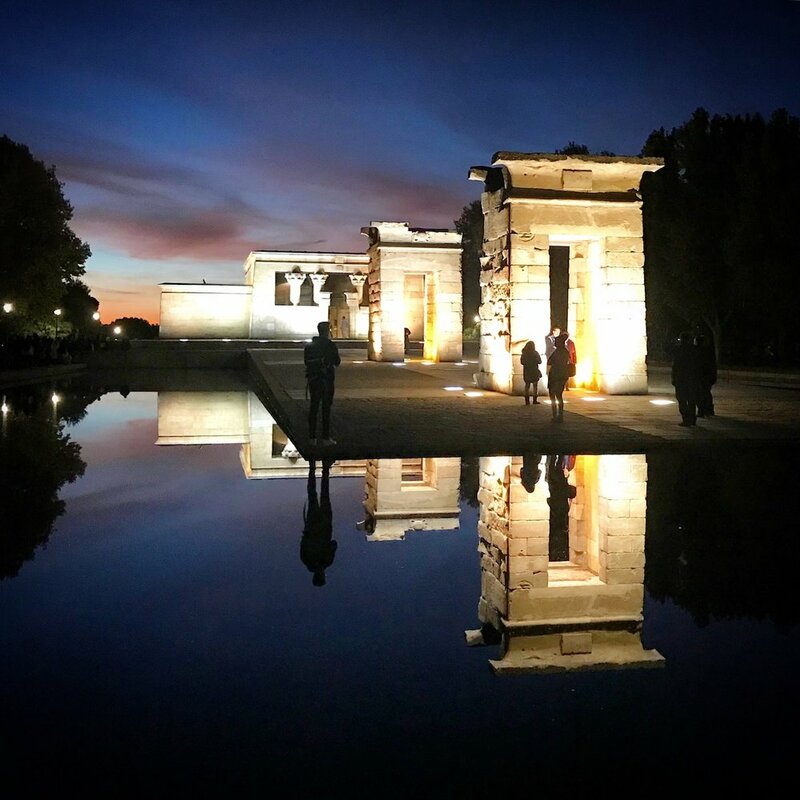 Though founded over a millennia ago, and therefor far older than any city you'll find in the Americas, Madrid is a bit of a late bloomer in the development of notable European cities. Rome is Rome, Lisbon is ancient, and London had been the home of English kings for well over five hundred years by the time the Spanish monarchy moved from the cities of Valladolid and Toledo to set up permanent shop in Madrid five hundred years ago, give or take. In modern times, there are few places on the planet I'd rather visit. Enjoy, and let us know what you find there!